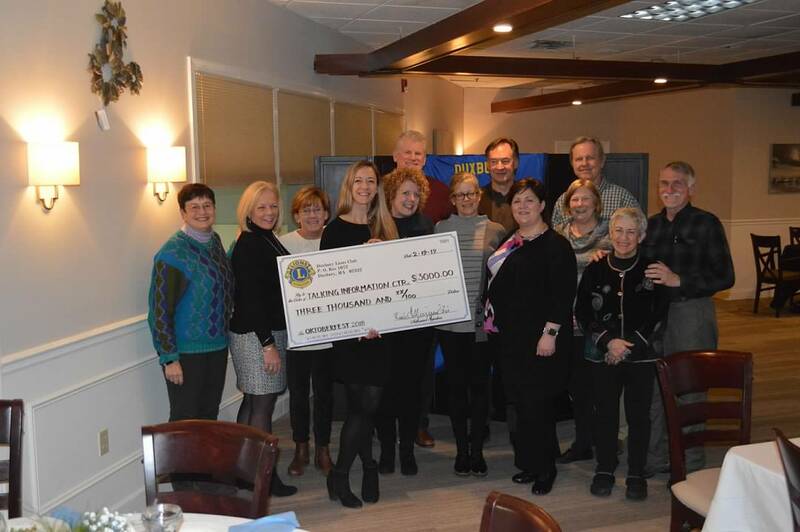 Recently, the Duxbury Lions Club was pleased to present Marshfield's Talking Information Center (TIC) Network with a $3,000 donation. This donation was made possible by the Club's fundraising efforts throughout the year including the Oktoberfest event at the Duxbury Food & Wine Festival. If you're not familiar w/Talking Information Center Network in Marshfield, check it out. They provide radio broadcasts 24/7, 365 days/year for the vision impaired. You may know someone who can benefit from & enjoy their broadcasts. Talking Information Center.